Information About Arkitip | Arkitip, Inc.
Arkitip Magazine serves these principles every day by its very existence. What began as a creative project between friends has become a full fledged business and a worldwide source for groundbreaking art and design today. Arkitip delivers original, site specific artwork in every issue. The assignment for the artists who contribute is to create something original to run in the magazine. Artists have the opportunity to design and layout the art they contribute as well. 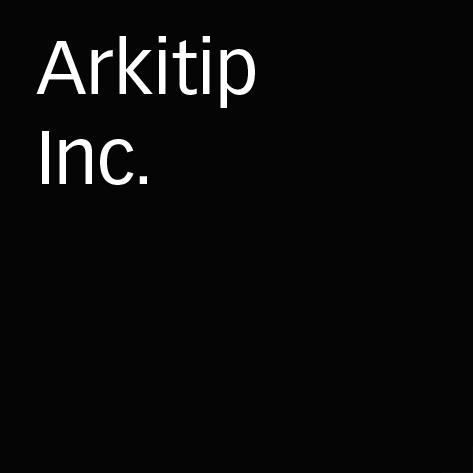 Making a contribution to Arkitip is like creating your own “installation” that is then distributed around the world. It’s like a traveling exhibition that you can take home. Supporting freedom of expression has never been an easy thing, but the magazine has successfully published the art of many controversial artists. Some of these artists have contributed work that had never been published before (or since), because it was considered too controversial. Using the magazine as a medium, Arkitip provides artists with a platform for open expression. We believe this helps keep the true spirit of art alive. Arkitip is a completely home grown, self-supporting operation. We have complete control over all aspects of the magazine’s content, design, manufacturing, marketing and distribution. This gives us the freedom to feature any type of art we think is relevant because no one is attempting to assert his or her influence. Maintaining autonomy is crucial to Arkitip, as it allows us to create a completely unique and distinctive product. Arkitip accepts artwork from professionals and amateurs, so you don’t have to have an MFA to contribute. The only requirement is that we like the project. Our taste is not the same as the mainstream art establishment, so anyone is eligible. We have literally hundreds of submissions each month so not everyone makes the cut but if you think you have an original project, we’d love to hear about it. The magazine strikes a balance between unknown artists and well-known artists alike. The evolution of Arkitip is vital to its success. We are constantly thinking and re-thinking the role of creativity in our lives and the magazine is currently exploring new avenues to document this. Stay tuned for more features in the magazine that document the artistic process.